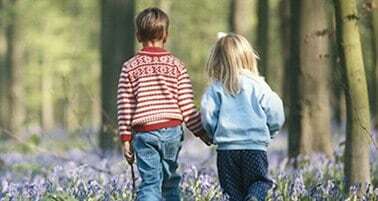 Since Facebook inception, we are used to text messages and photos to express our thoughts. With increased internet usage around the globe, this latter form has tended to have limiting or obfuscate the realism. Over the time, other competitor social media platforms embraced use of video as a panacea for this. In no surprise, it has proven to be the big deal. Facebook on this exciting experience was not left behind. It is dubbed Facebook video collage. With the use of Facebook video collage, your family members can feel your present regardless of how far away you are. Facebook video collage is a splendid media file which trade your personality, expound your adventures or give detail information about your business products. This explains how sensitive you need to consider while creating this video. Key sagacious step is to task right software, Filmora Video Editor for Windows (or Filmora Video Editor for Mac),to create it for you. This program has established and proven itself as far as editing undertaking is concern. It comes with vital basic to advanced editing features. More importantly, Filmora Video Editor has both versions for Windows and Mac OS. When you get the cooled feet, it gives a chance to have a taste of the free version before digging deep in your pocket and settle on the unlimited premium version. 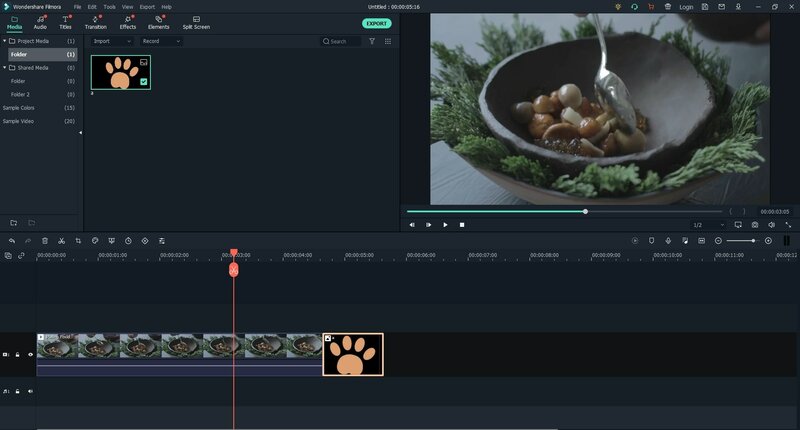 Filmora Video Editor has user-oriented interface making it easy to everyone, newbie included, to perform Facebook video collage edits. It has a lot of creative features which include green screen, transition, which will enhance your Facebook video collage to be of exceptional quality. 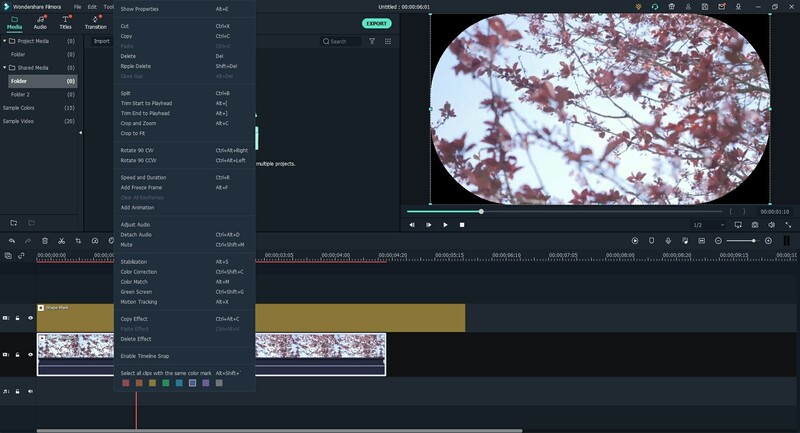 Filmora Video Editor enables you to import photos or clips from social media platforms such as Facebook. 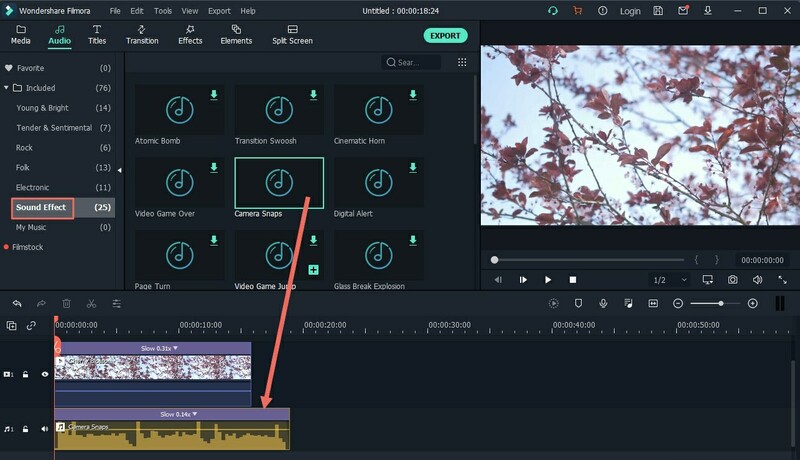 Filmora Video Editor has bring to life possibility of editing and exporting Facebook video collage at resolutions of up to 4k. 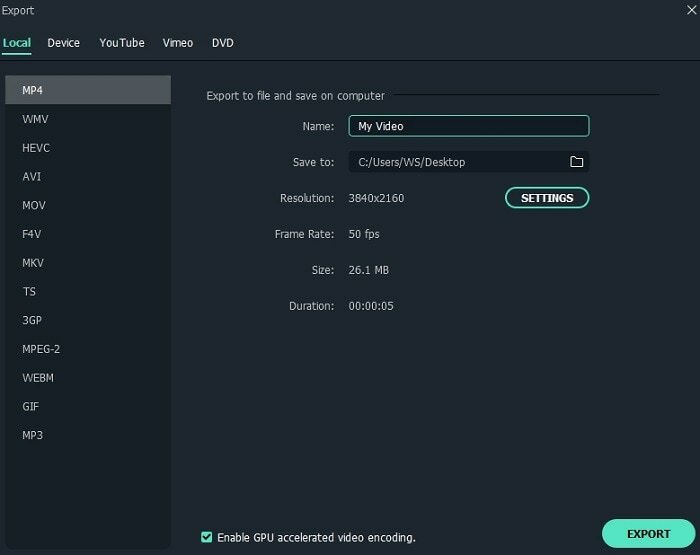 Run Filmora Video Editor on your computer. Tap the "Import Media Files Here" icon on the left side of the main window. Stick on the onscreen instructions and browse media files you intend to use create Facebook video collage on your computer. Finally import this file into the program. Another import option is to simply drag and drop these files on the User's Interface. 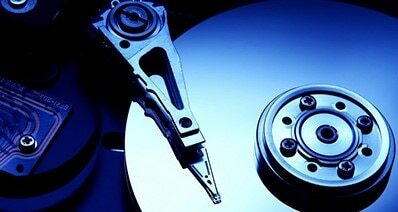 After which you drag these files to video track in the timeline. Combine media files: To combine photos and videos is a simpler way of creating Facebook video collage. 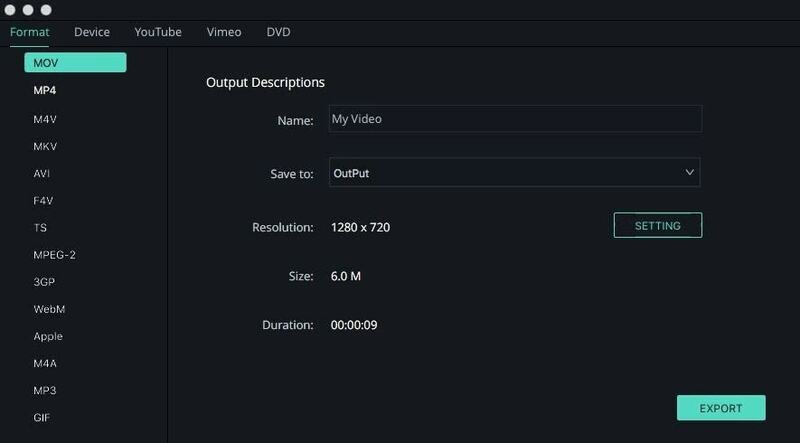 To achieve this, drag files from the User's interface to video track in the timeline in specific order in which they will appear. After exporting, it will be one Facebook video collage file. Add background music: To add music to your Facebook video collage is a perfect way to pass the right message especially when you purely use photos. This feature is of great use to apply along your products. To attain this, click the "Music" icon just above the timeline add check through the songs in the library. Nevertheless, you can import songs you are fond of. At last, drag and drop on the timeline to use it. After completing and now having sufficiently good Facebook video collage, click "Export" button. On the new export window, select export format. Furthermore, you are prompted to give it a name and choose save location in the computer then click "Export" button. Alternatively, you can directly send the Facebook video collage fils to your mobile device and upload it to Facebook directly. 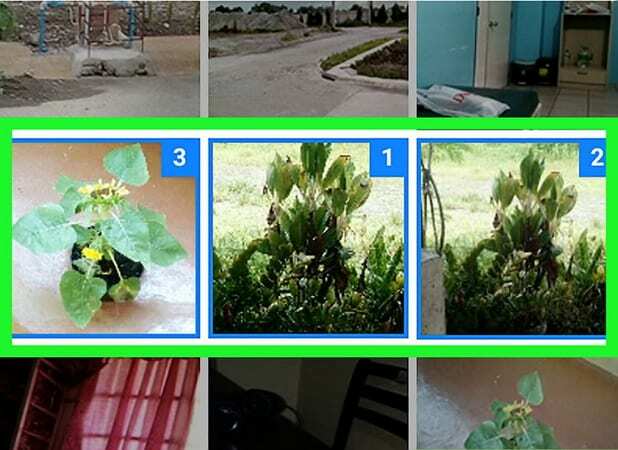 To create a Facebook video collage in iPhone and Android is no more something to worry about. If you haven't tried it yet, be acquainted that the procedure of making one is identical for both iPhone and Android users. Although some users might find this feature missing. This feature is still being piloted. The following is a step by step guide on how to create Facebook video collage on iPhone and Android. Step 1. Tap on Facebook app icon and key in your credentials to log in. Step 2. Tap on "What's on your mind" text box which appears on top of your News Feed. After clicking on this a new post window will open. 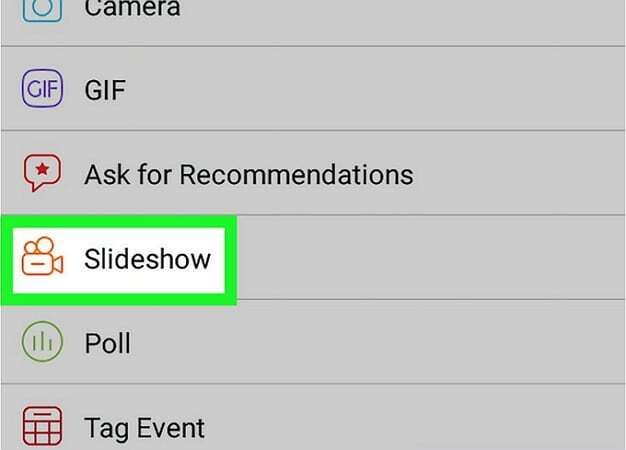 Scroll down to "Slideshow" and tap on it where it will open slideshows page. Proceed to create your Facebook video collage. Keep in mind that if you can't see this option, it's yet to be available in your app. step 3. 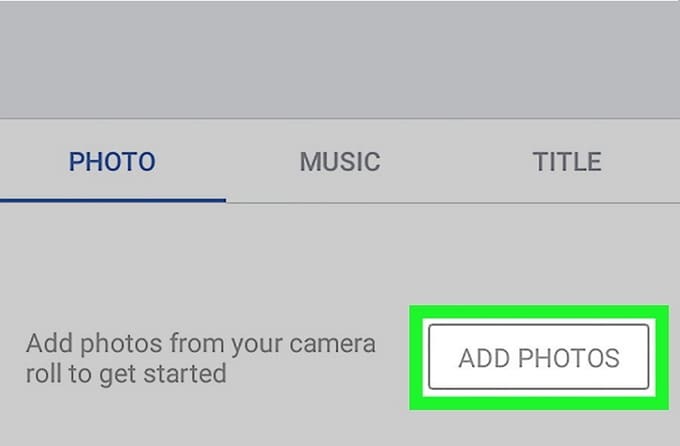 Tap the "Add Photos". This is a gray button in the "Photos" tab. Step 4. Pick those photos you intend to add to Facebook video collage. 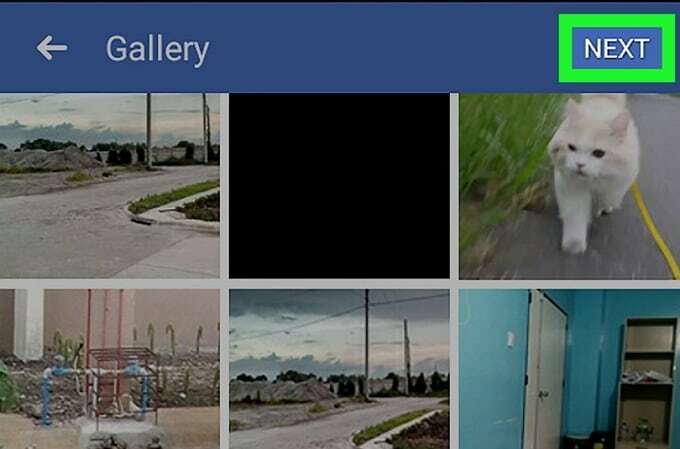 Select photos between 3 and 10 or alternatively tap the "Camera" icon to take new ones instead. Then tap "Done". Step 5. Proceed creating video collage by tapping on "Next". You can see this at the top-right corner of the device main window. Step 6. 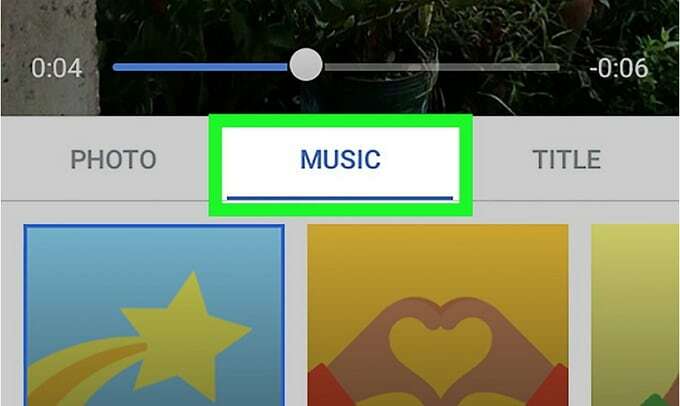 To select an adorable theme for your Facebook video collage, tap the "Music" tab. This selected theme will determine the music which will play in the background and the visual presentation of the video. Step 7. To add a title is optional. 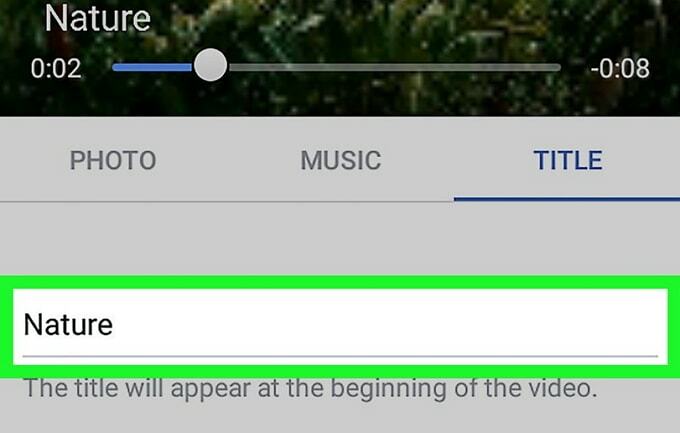 To do so, tap "Title" tab and craft a title to use for your Facebook video collage. Step 8. To compile and create Facebook video collage you have engineered, tap "Next" button. Step 9. To finalize the process, tap "Post" or "Share". This Facebook video collage is now visible to your friends from your profile page. Indeed creating Facebook video collage is a fascinating task to indulge oneself. 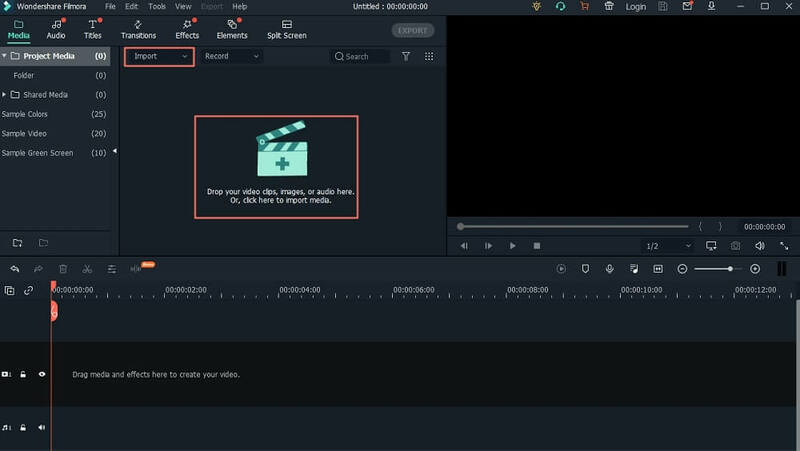 With these functional options best being using Filmora Video Editor due to availability of multiple tools. 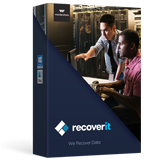 Otherwise, if you are not in touch with the aforementioned software, don't quit but take the convenient option available in your device.